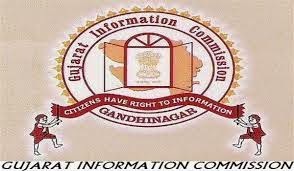 Even they, the GIC says, the rejection of the RTI pleas in Gujarat was quite small, just about 3.32 per cent in 2013-14, though certain departments registered a higher rejections such as Gujarat State Assembly (14.08 per cent), finance (7.95 per cent), health and family welfare (7.35 per cent), general administration (6.88 per cent), agriculture and cooperatives (5.96 per cent), and home (5.75 per cent). Then there were 304 rejections which involved “infringement of copyright substance in a person other than the state”, and 214 rejections about “personal information, disclosures of which has no relationship to any public activity or interest, or which would cause unwarranted invasion of the privacy of the individual”. In all there were 5,748 rejections in 2013-14, the GIC says, adding, the departments topping the number of rejections being revenue (1,889, or 4.72 per cent), followed by home (1,720, or 5.96 per cent).